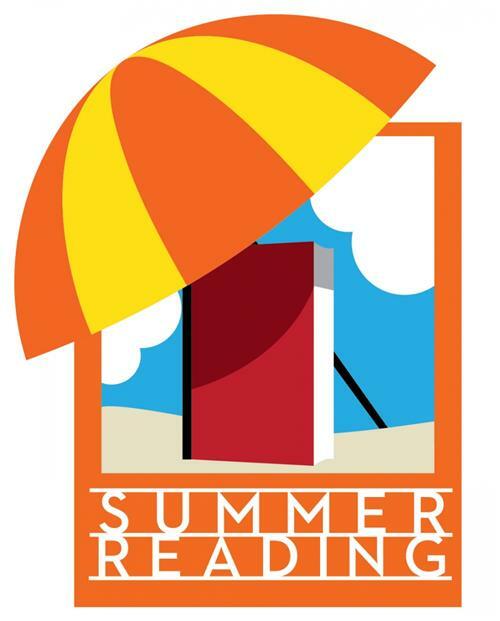 Summer is upon us, which means the kids are out of school and want to read ALL THE BOOKS! If you're looking for good summer books for specific age levels we have some lists to help get you started! If you're looking for more books, please check out the rest of our public lists! They are searchable, so you can look up "fourth grade" or "kids graphic novels" and get many wonderful choices. There are lists of books for ALL AGES, so if you're looking for fantasy, or beach reads for other ages, get that search box working! Jenna (Jee-min) Williams, a brilliant academic at Georgetown’s School of Foreign Service is still haunted by the disappearance of her twin sister Susie (Soo-min) 22 years ago on a South Korean beach. Now the CIA has evidence that her sister was kidnapped, and may be alive in North Korea. Colonel Cho, a high-ranking North Korean diplomat and a rising star in the government, is worried that a deep background check by the state security might reveal a deadly family secret. When the two meet at a diplomatic reception in New York City, though initially unhelpful, Cho agrees to help Jenna locate her sister. Meanwhile, Mrs. Moon, a North Korean peasant risks her life to trade the illegal goods she finds on the black market, hoping to make a better life for herself and her husband. “From the luxuries of power to the back-door political dealings to the torturous realities of a concentration camp, these three seemingly disparate plots are deftly woven, leading to an ending that is at once breathtaking and bittersweet.“ (Library Journal). For fans of John Le Carre, Jason Matthews, and Viet Thanh Nguyen's The Sympathizer. 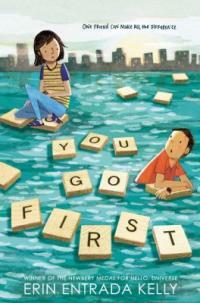 Join two young people on a magical adventure deep under the surface of their neighborhood swimming pool. Fish and sea creatures await them when they dive deep, deep under the kicking feet and raucous noise of the crowd bobbing on the pool's surface. They meet aquatic friends (both big and small) as they explore their elaborate fantasy world together. Entitled simply Pool, this stunning picture book tells its story in pictures alone. Artist JiHyeon Lee's delicate, expressive illustrations carry the reader through in a way that anyone with sight can understand, regardless of age, literacy, or language spoken. 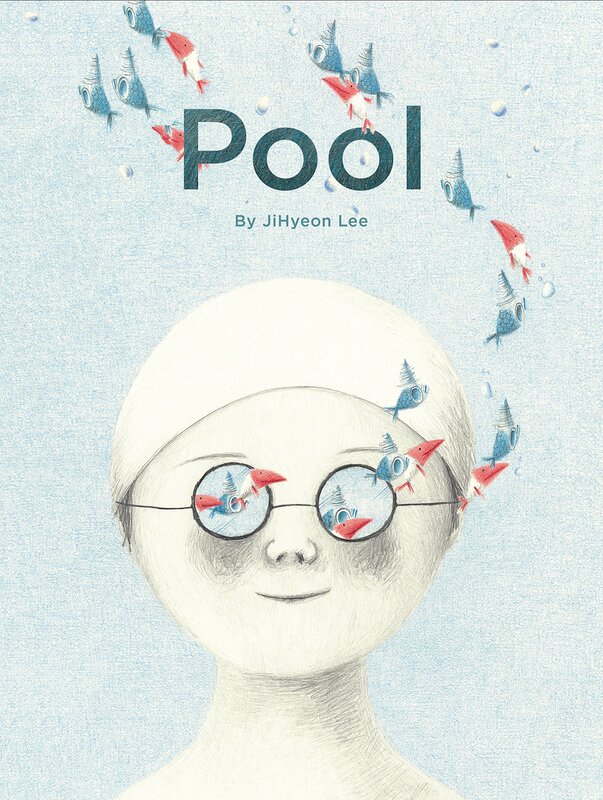 Check out this link to Picturebook Makers for an interview with JiHyeon Lee, and for a truly fantastic look at her storyboards, initial sketches, and other preparatory work for this book. 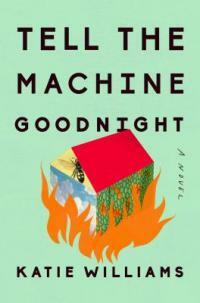 YA author Katie Williams sets her first novel for adults, Tell the Machine Goodnight * in near-future (2035) San Francisco. As a skilled technician for the Apricity Corporation, Pearl provides customers with personalized recommendations generated by the Apricity Happiness Machine simply with a swab of one’s DNA. However, she doesn’t seem to be able to manage it in her own life. A single mother to an anorexic son named Rhett who finds great satisfaction in denying himself food; and ex-husband Elliott, a narcissistic performance artist who left them for a much younger woman. When Rhett refuses to submit to the happiness machine analysis, Pearl takes matters into her own hand but the results are bewildering and devastating. Then one of Rhett’s friends asks him to help solve a mystery; Pearl becomes the target of industrial espionage; and the demands of her new high-profile client test not only her loyalty to the company, but her humanity as well. 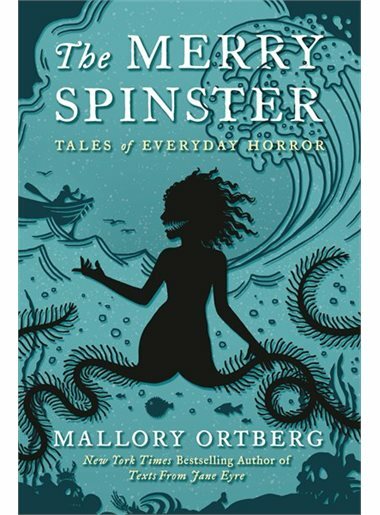 Your favorite fairy tales get a fresh retelling in The Merry Spinster: Tales of Everyday Horror. Drawing equally from the Brothers Grimm and everyday life, Mallory Ortberg infuses these dark, delightfully wicked fantasies with modern twists like gender identity and bureaucratic intransigence. 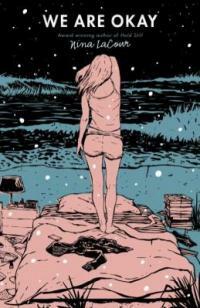 Ortberg's sly wit, humor and sense of existential horror will hook you in the first few pages. For more, check out these reviews from NPR and PopMatters. Through Charlotte and Ben, Kelly shows readers that sometimes all it takes to act bravely is knowing one person is there for you, waiting for you to take your turn. 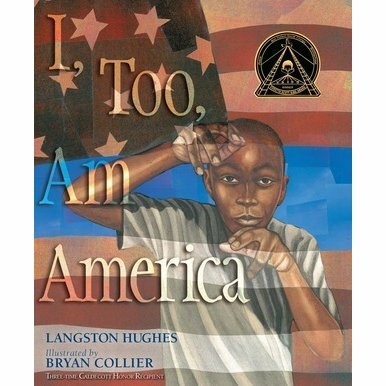 Langston Hughes' much loved poem "I, Too, Am America" is given a dramatic new form by four-time Caldicot award winning illustrator Bryan Collier. Originally written in 1926, "I, Too, Am America" retains its relevance in the present day, and its words are inscribed on the walls of the National Museum of African American History in Washington DC. You'll find this excellent picture book in our youth section, and the original poem via this link to the Poetry Foundation's website. 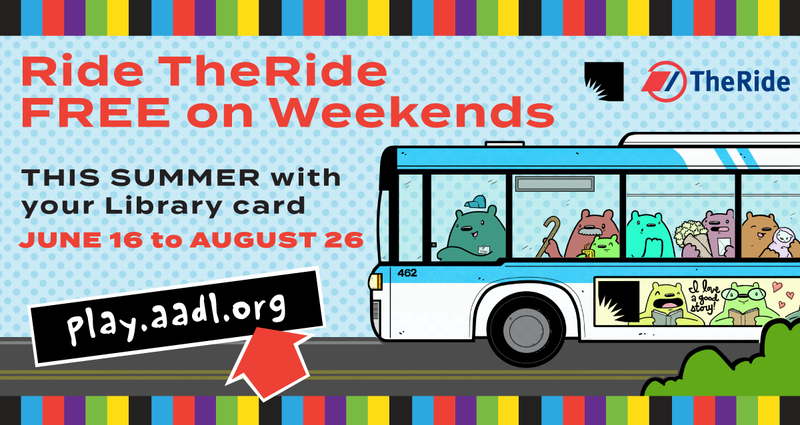 The Ann Arbor Area Transportation Authority (TheRide) and the Ann Arbor District Library (AADL) are partnering this summer to provide Free Ride Weekends during the AADL Summer Game! Every Saturday and Sunday from June 16 to August 26, library cardholders can ride any of TheRide local fixed-route buses for free. All you need to do is show the driver your library card when boarding the bus! 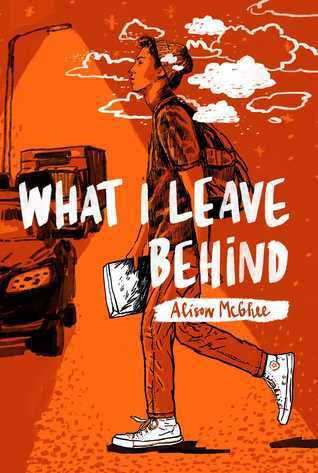 The new teen novel What I Leave Behind caught me by surprise, and I was absolutely delighted that it did. I was interested in the unique format of the book, as it has 100 chapters, all with 100 words each. The significance of 100 and the flow of the prose move the story in ways that full chapters would not. The story follows sixteen year old Will. He has a lot going on in his life, and he prefers to sort through it all by walking. He likes to walk. Everywhere. All the time. His best friend went through a traumatic experience at a party. His father is dead. And he now struggles with his last encounter with his father -- I don't think I'll ever look at cornbread the same again. It's a quick read, and Will is a fascinating character to follow along as he walks through it all. 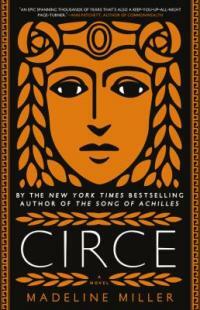 In her new novel, Circe, Madeline Miller gives voice to this Greek goddess usually featured peripherally in the myths of men. In the span of hundreds of years Circe’s path crosses that of many mortals and gods; Daedalus, Jason and Medea, Hermes, Odysseus, and armies of men who chance upon her shores and seek to take advantage of her. Circe is famous for turning men into swine on the island Aeaea, where she has been exiled for using witchcraft. Miller fleshes out the back story of why Circe started doing this, using "pharmaka" and herbs to right great wrongs done against her. “Men make bad swine,” she muses. Extremely engrossing, Miller’s renditions of the Greek myths are thrilling and impassioned, creating a delightful read. 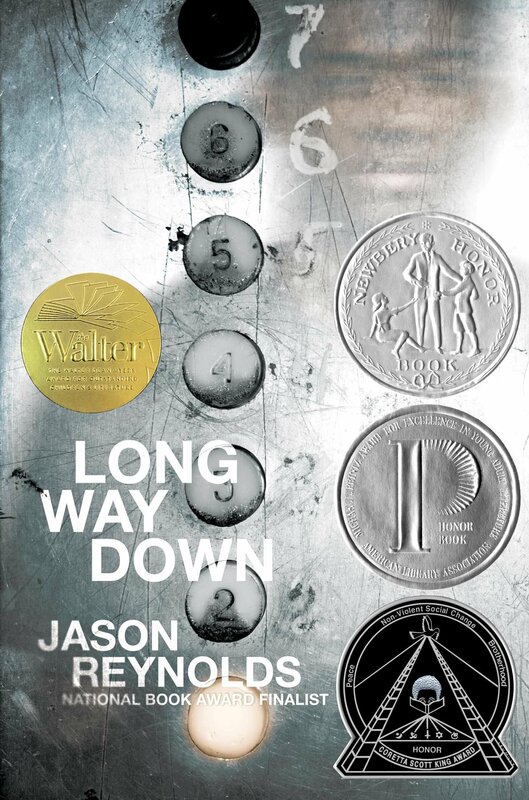 Long Way Down is a new teen fiction book by Jason Reynolds, and it's so good that it won a Printz Honor award this year. It's beautifully written in prose by our young narrator, but it's no easy read due to the weight of the content -- but don't let that scare you. This author is doing amazing things! 15-year-old Will's brother was recently killed, and he's prepared to follow the rules... until he hops in the elevator. Will is caught by surprise when, over the span of just one minute, other people from his life mysteriously join him, offering him insight on the mission he's so intent on completing. It's the longest 60 seconds of Will's life... and it will change his life forever. Check out this collection of black and white photos of Ann Arbor from over 40 years ago! Shared by local resident RJ Godin, this collection includes vintage shots of past local businesses like the Flame Bar, Omega Pizza and Central Cafe. Also in this collection are charming street scenes of downtown Ann Arbor; and shots of iconic campus locations like the Observatory, Nickels Arcade and the Campus Corner. You can see more from this collection here. On Memorial weekend, the population of Orient, a small hamlet at the easternmost tip of Long Island’s North Fork braces for the onslaught of the summer people. Many homeowners like Ruthie Beamish vacate their homes for their wealthy Manhattan renters so they could afford to stay in their homes the rest of the year. This particular summer, Ruthie’s beloved home is not the only thing she would lose - her assistant is scheming for her job as the director of a small regional museum; her Board support is evaporating under machinations of a coterie of rich women from the city; her ex-husband (and good friend) Mike, has fallen for their renter Adeline Clay, who happens to be the widow of Peter Clay, the celebrated artist Ruthie once worked for; and their teenaged daughter Jem, is involved in dangerous relationships. Out of desperation, Ruthie pushes back, in ways that would even astonish herself. For fans of Mary Kay Andrews, Elin Hilderbrand, Mary Alice Monroe, Nancy Thayer; and other summer reads. Set in an era dominated by anxiety, political turmoil, industrial revolution, and rapid social change, Fathers and Sons tells the story of two young political radicals, two old conservatives, and a fateful vacation in the countryside. Nihilism, infatuation, the generation gap, and the ties that bind all mix in this startingly tender, slim little novel. Fathers and Sons feels amazingly modern in spite of its age. 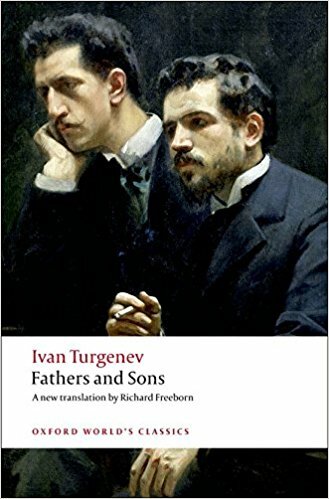 You'll find some of the very first cultural references to nihilism here, and Turgenev sets the template for the edgy brand of nihilistic youth culture has since emerged time and time again in modern art and media. Listen to this podcast episode of NPR's Radiolab for more on the relationship between nihilist philosophy, youth, and popular culture (skip to 9:54 for a quote from the book), or check out this review from NPR. All AADL locations will be closed on Memorial Day, Monday, May 28. Regular Library hours will resume on Tuesday, May 29. 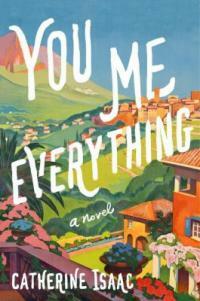 You Me Everything is British author Catherine Isaac’s first US debut. At the urging of her mother, Jess made the 825-mile drive from Manchester to Dordogne, to spend the summer at Château de Roussignol, a restored hotel run by her ex-boyfriend, Adam. Ever since Adam missed the birth of their son William, 10 years ago, Jess had kept him at arm's-length. But now, there is an urgent reason to make Adam fall in love with his own son. Adam, ever handsome, charming, and unreliable, quickly bonds with William, while Jess wonders at her own jealousy toward Adam’s beautiful 22 year-old buxom receptionist/girlfriend. As they are joined by their old gang of uni friends, the summer becomes one of pool parties, soccer games, excursions, glorious French food and free-flowing wine. When news from home worries Jess, she must decide if she could share her secret with Adam, and whether she could follow her mother’s example - choose to live, with the time she has, and the people she loves. “With the background of Huntington's disease, this novel draws comparisons to Lisa Genova's Inside the O'Briens. Both heart-wrenching and romantic, this is a solid choice for book groups that appreciate stories of everyday people with ordinary failings who overcome adversity.” (Library Journal) Suggested read-alike: One Plus One by Jojo Moyes. If you live in Ann Arbor, chances are you’ve popped into Literati, the “new” bookstore on the corner of Washington St. and 4th Ave. If you can believe it, they just celebrated their fifth anniversary in town! Each time I visit I marvel at the typewriter and love spotting someone typing a little message. Literati has had a variety of typewriters over the years, inviting shoppers to sit down and type something. Years later they have accumulated thousands of writings from visitors. Some of them were painted on the exterior of the building, inviting passersby to read and feel something. 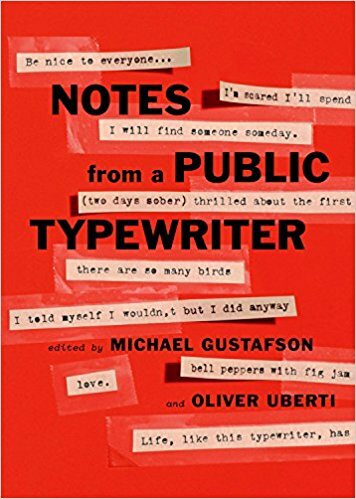 Some of these notes have been published in the new book Notes From A Public Typewriter, edited by Michael Gustafson (co-owner) and Oliver Uberti. It’s a delightful little book, perfect for bibliophiles, writers, or that empty spot on your coffee table. Gustafson discusses typewriters in general, and the variety of typewriters they’ve housed, while also sharing many little notes that have been left over the years. It’s a quick read and a pure delight to step into the little thought blurbs left on a typewriter over five years. Detroit After Dark: Photographs from the Collection of the Detroit Institute of Arts features night photography that catches glimpses into the nightlife and culture of the Motor City from the 1950s to present day. The photographs offers black and white and color imagery of a side of the city that many don't seek out in real life, and it's wonderful to see it captured here in this book. 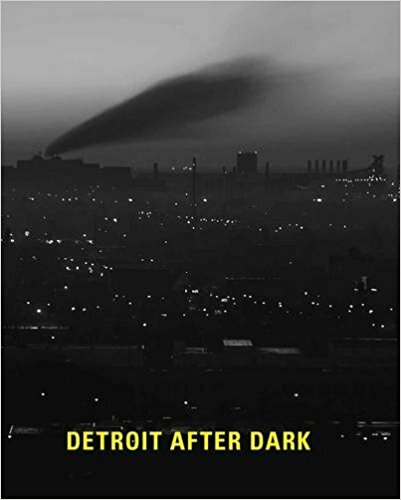 The book pairs narrative with images interspersed, some comparing and contrasting night in Detroit with night in big cities like New York and Paris. Through glorious photos you can peek at neighborhood fireworks on the Fourth of July, a bus yard, graffiti in progress, and concerts such as Patti Smith, The White Stripes, and Iggy Pop. Detroit After Dark is great for those who love photography or just want to celebrate the magic that is Detroit. This year's Printz Award winner was Nina LaCour's young adult novel We Are Okay. The Printz is awarded annually and honors the best book written for teens, based entirely on its literary merit. I've enjoyed LaCour's previous teen novels, and this new one did not disappoint. 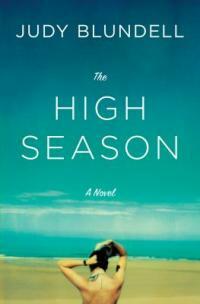 After tragedy strikes in late summer, Marin abruptly leaves California to attend college in New York. After settling in a bit, a close friend visits begging for answers, and Marin is absorbed in her own depression, denial, grief, and confusion and can't immediately give her friend what she needs. Over the novel, alternating chapters slowly reveal just what happened over the summer and what forced Marin to up and leave. It's a touching story, and you can't help but feel for Marin as she navigates heartache and young adulthood at the same time. Be sure to also check out the list of this year's Printz Honor books for more solid reads! 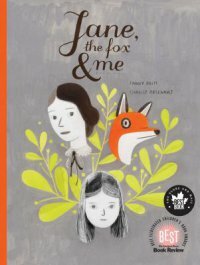 Hélène, the protagonist in Fanny Britt’s Jane, The Fox & Me, is the subject of bathroom graffiti, taunts and rejection from a group of mean girls at her middle school. She escapes from this bullying into the world of books, most specifically Jane Eyre. Hélène learns from Jane, who seems to her to be “clever, slender and wise” that everyone must always have a strategy for any situation. And so, Hélène employs small strategies of her own to cope with the horrors of two weeks at camp with her enemies, strategies to make her look occupied and to assuage her loneliness. Britt does an outstanding job capturing what it feels like to be the center of unwanted attention, that moment “as everyone turns to look at me. The world - even the the air itself - jerks to a stand still.” Even a magical encounter with the titular fox cannot keep Hélène’s self-esteem from continuing to plummet. Finally, it is not Jane, nor the fox, that help Hélène regain this lost self-esteem, but instead, the introduction of a true friend. Fanny Britt and Isabelle Arsenault have created a beautifully written and exquisitely illustrated story of a girl learning her worth. 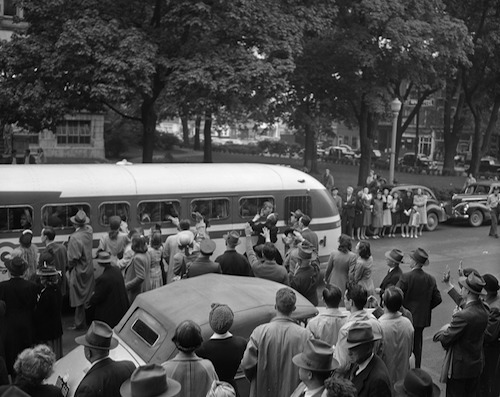 "Just before the bus left this morning, taking him to Detroit and induction in the armed services, the last Ann Arbor draftee in the second bus (above) received the most appropriate of all farewells. More than 500 townspeople heard Mayor Leigh J. Young and the University ROTC and marching bands in the send-off program for the men of Selective Service Board No. 1 this morning." More photos from that day here. Playful words slide up, down, and diagonally across the pages. Comics are peppered throughout. Once again, Kwame Alexander has created a novel in verse, saturated with rhythm. 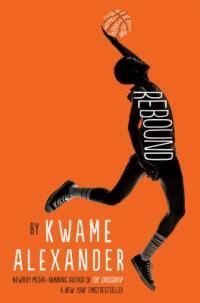 Rebound is a prequel for Alexander’s 2014 book, The Crossover, which won the Newbery Medal. We are introduced to Chuck Bell, the father in The Crossover, as the child Charlie Bell, growing up in the 1980s. Like his sons in later years, Charlie faces a tragedy that changes his life forever. He is unwillingly spending a summer away from home with his paternal grandparents. But it is here that he can start to recover from his loss. Through affectionate love, tough love, friendship, and basketball, Charlie/Chuck slowly finds joy again. From his grandfather, Charlie/Chuck learns that basketball is a fitting metaphor for life, the same rules apply to both, and when you miss a shot you have to learn to rebound. Fans of The Crossover and Booked will not be disappointed in this newest gift from Alexander. Dawud Anyabwile provides the comics that illustrate Charlie’s dreams of basketball heroics. 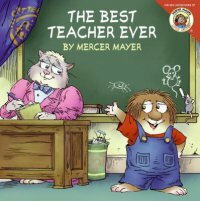 Although today is National Teacher Appreciation Day, each year the first full week of May is celebrated as Teacher Appreciation Week. You and your children may want to celebrate the week by reading one of these books. The stories remind us that there are special people out there making a difference in someone’s life. 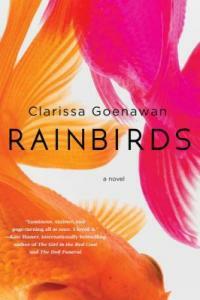 Rainbirds * by Clarissa Goenawan is an unusual murder mystery, set in 1990s Japan; and a young man’s ruminations about family and loss as he searches for answers about his sister he thought he knew. When news of his elder sister Keiko’s murder reached him in Tokyo, graduate student Ren Ishida was at a loss. The siblings were close growing up but eleven years ago, Keiko then 22, abruptly abandoned the family for the small town of Akakawa. As the grieving Ren tried to find closure as to why Keiko was viciously stabbed on a dark secluded road, he began to retrace Keiko’s steps, picking up where she left off. He took over her teaching position at a cram school, and the bizarre arrangement of free rent at a wealthy politician's house. Against his better judgement, Ren was drawn to a beautiful and troubled student he nicknamed "Seven Stars". Things got decidedly thorny when he realized she might be connected to his sister’s murder. "I Always Wanted To Be a Tenenbaum"
Let's forget the Justin Timberlake memes on this May 1, because today is also film director, film producer, screenwriter, and actor Wes Anderson's birthday! His popular films and style have a bit of a cult following, and I'm totally a sucker for them. All of them. 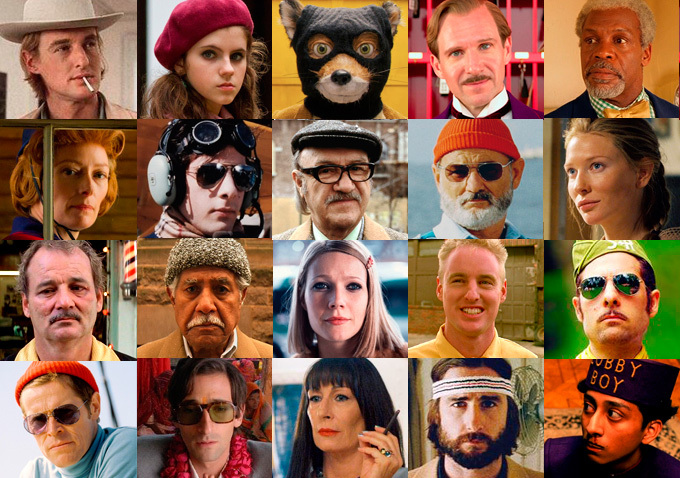 I think it's safe to say my favorite is The Royal Tenenbaums. His latest film, Isle of Dogs, is in theaters now with mixed reviews, and is an animation akin to Fantastic Mr. Fox. But let's go back to Bottle Rocket from 1996 - the film that started it all by introducing us to Dignan, portrayed by Owen Wilson, who often writes with Anderson on these quirky endeavors. There are so many unforgettable characters strewn across Anderson's work that offer such quotable moments. Other films include Rushmore, The Life Aquatic, The Darjeeling Limited, Moonrise Kingdom, and The Grand Budapest Hotel. His films are known for their stylized looks and killer soundtracks - with every detail chosen to be perfect - every smirk, every hat, every wall color, every font, every walk. The films often feature an ensemble of the same faces, including Angelica Houston, Bill Murray, Luke Wilson, Owen Wilson, Jason Schwartzman, Jeff Goldblum, Willem Dafoe, and a crew of others. Which is your favorite film? April, 1956. American newlyweds Michael and Scottie Messina arrived in Siena ostensibly to open a Ford tractor dealership, while Michael was in fact, a CIA operative on a mission to defeat the Communist mayor’s reelection, and to be close to Duncan, his handler and lover. Scottie has her secrets too which were increasingly hard to keep in a small town like Siena. With the election approaching, complications ensued. When 14 year-old Robertino, Scottie’s Italian language coach went missing, her search for him led her to discover other, darker truths about herself, her husband, and her country. 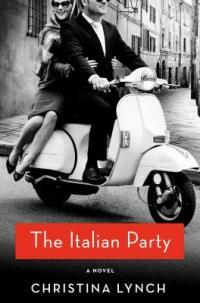 For readers who enjoyed The Expats by Chris Pavone. The author, a former Milan correspondent for W magazine and Women's Wear Daily, was on the writing staff of Unhappily Ever After; Encore, Encore; and The Dead Zone . 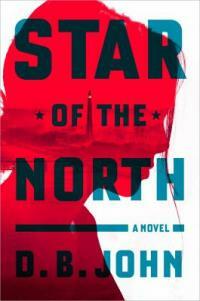 She will be at Literati Bookshop on April 27th, 7pm for a reading and signing. The unnamed narrator of Sigrid Nunez’s new novel, The Friend, is in mourning for her best friend. He has left her an unexpected inheritance in the form of his elderly great dane, Apollo, who is also deeply bereft. What follows is a unusual tale of a new friendship, an exploration of grief, and an examination of the writing life. Though the novel looks closely at the pain of loss, it is not without humor, as might be elicited by life with a giant dog and his daily habits. As Nunez’s narrator and the narrator’s late friend are both writers, her book is as much about this as it is a pet tale. By my count, there are at least 58 writers in these 212 pages, novelists, poets, playwrights, philosophers, whose mention adds to the depth of thought and the richness of the story. This is not a book of action, but of reflection, the narrator speaking mostly to the friend she has lost and occasionally to the dog she has gained. 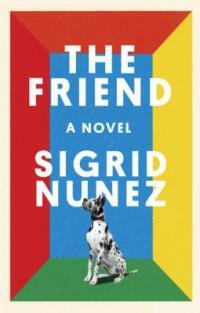 The Friend is a beautiful, deeply moving novel, Nunez’s 7th, but the first of her’s that I’ve read. I have some catching up to do! 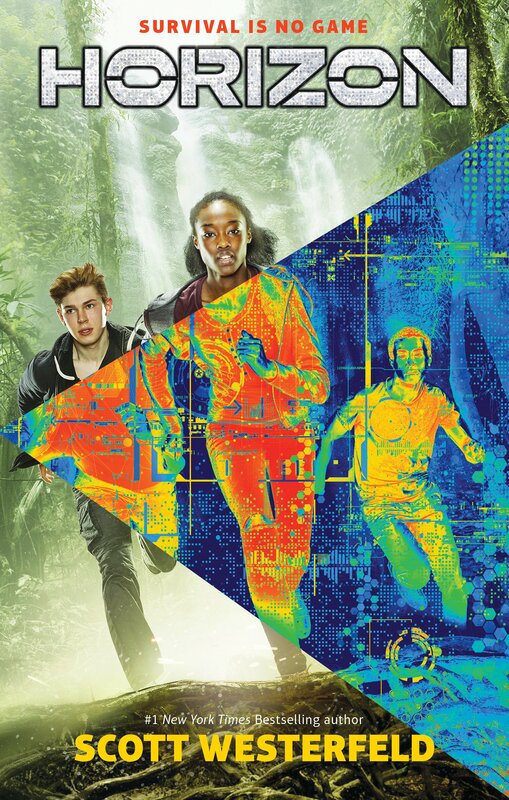 Horizon, by Scott Westerfeld, is the first book in a newer chapter book series that upper elementary and middle school readers will enjoy if they're into suspense and characters in survival mode. Here we have a group of kids who survive a plane crash and end up in a deadly jungle with little way out, and threats all around them, including each other. Book two Horizon: Deadzone is written by Jennifer A. Nielsen, and features a new location and new threats to watch out for. If survival stories sound good you'll also enjoy the Stranded series by Jeff Probst, host of Survivor, the TV show. And here's a list of even more survival fiction titles. 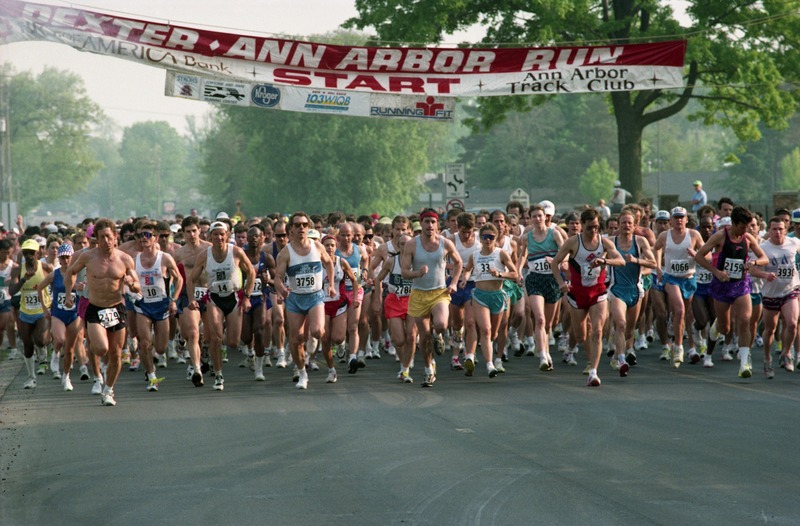 The Dexter-Ann Arbor Run turns 45 next year and the Ann Arbor Track Club, who among many things helps to sponsor the run, turns 50 this year! You can see all the spectacular moments from start to finish like the winner of the first run. Participants range from the oldest to one of the youngest as well as those in wheelchairs. There are photos of the victors to those just clearly exhausted. See the moms & dads that participated, one carried his kids in the race and others pushed their strollers through it all while still other parents ran with their kids. But the most inspiring photos are those that show support between runners as well from family & friends here and here. So enjoy the walk (or run as the case may be) down memory lane with articles & more photos for the DX-A2 Run. You can also see more of the Ann Arbor Track Club like their relay team from 1966 and others here. If you have been waiting patiently for more work by Rainbow Rowell, this might tide you over. Wait, who is this Rainbow person? She writes amazing teen and adult fiction novels. 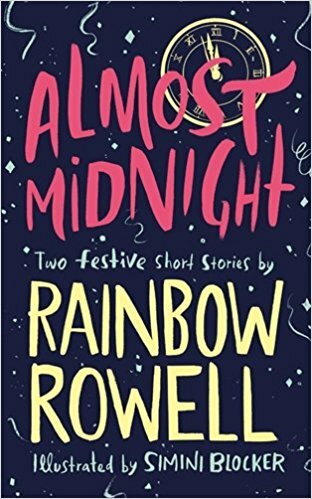 Almost Midnight: 2 Festive Stories have both been in print before, but are here in a cute little gift edition book with amazing illustrations by Simini Blocker. I was thrilled to hold this tiny blue sparkly book in my hands. It contains two short stories: Midnights and Kindred Spirits. I really enjoy Rowell's writing, especially the dialog, and these stories are in the same vein as her previous works. In Midnight we see Mags and Noel's friendship develop over several New Years Eve parties. And in Kindred Spirits we have a young girl waiting in line outside with strangers to see the premiere of Star Wars: The Force Awakens. Both stories are short and sweet, and feature characters I'm glad to have met. The author has other projects up her sleeve, so it'll be a while before we get a new novel. In the meantime, if you haven't read any of Rowell's teen or adult fiction books... check out Eleanor & Park, Landline, and Attachments, then read Fangirl and Carry On.